It’s not too early to save the date for Homecoming! 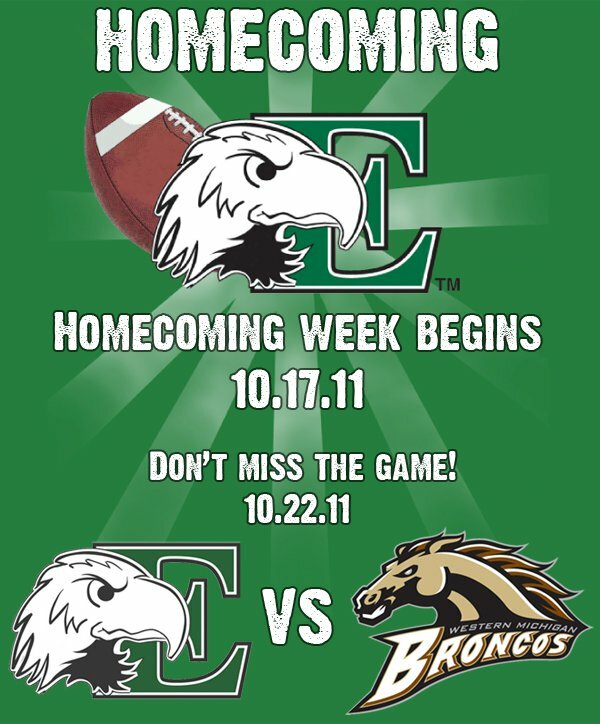 And, make sure to follow the new EMU Homecoming fan-page on Facebook. 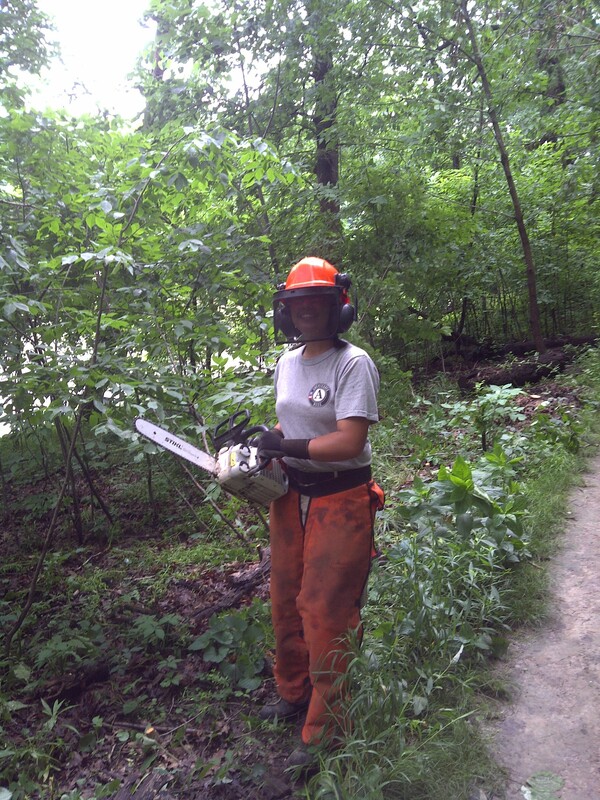 Holly Elder (BS10) shares more about her experience in AmeriCorps NCCC. If you haven’t read her first post, check it out here. My NCCC team Oak 3 has transitioned themselves from working at Scattergood Friends School in West Branch, IA to Coralville Lake, IA, about a 20 minute commute. For the past few weeks we’ve been working under the direction of the US Army Corps of Engineers at Coralville Lake, working on projects such as reclaiming trails and removing invasive species. The US Army Corps of Engineers (also known as USACE) manages Coralville Lake as a multiple use project providing primary benefits in flood control and low flow augmentation. Secondary benefits include recreation, fish and wildlife management, forest management and water quality improvement. In addition to moderating stream flows on the Iowa River, Coralville Lake ‘s less evident, but equally important, role is in the comprehensive flood control system for the Mississippi River . I find this project really interesting for a variety of reasons. Mostly, because of the recent floods that have been occurring along the Mississippi River, and the fact that our sponsors are the people who decide what to do in terms of flood control. To be able to ask the people you work with what the decision making process is like for opening up levees is a very unique opportunity. In terms of what our team is doing, we have been learning tactics for trail maintenance that USACE uses to keep the trails easily accessible for hikers and visitors to Coralville Lake. Part of the learning process includes rerouting or fixing water drainage areas to keep from trails getting too muddy and messy to walk through. 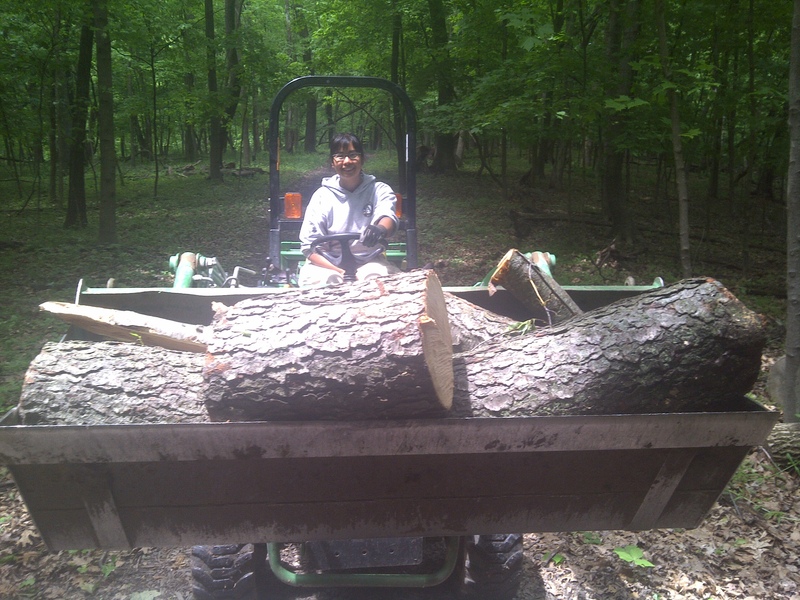 We’ve also been removing invasive species of plants, clearing out brush, and chainsawing down dead trees and certain trees that aren’t indigenous to Iowa, preventing sun light from reaching the trails. I’d have to say my favorite part about the trail maintenance is being shown how to properly use a chainsaw and…well, use it! If you had asked me a few months ago whether or not I could imagine myself using a chainsaw I would have said no way Jose…but I’m really proud of myself for stepping up to the challenge and learning. Now it’s one of my favorite things to do at the trail! Our project ends in the next two weeks for the mid-year break, and I’m excited to be able to relax, but I also think about how much time has passed. In a way I’m sad that this journey is about half over, but I am excited to come back to the main campus for the mid-year transition and seeing all of the other NCCC teams get together and swap stories. Where is Oak 3 going after the mid-year? You’ll find out in the next update! For more information about AmeriCorps NCCC or other AmeriCorps programs visit www.americorps.gov or call 1-800-942-2677. This has been such a positive experience I’d love to spread the word about NCCC! 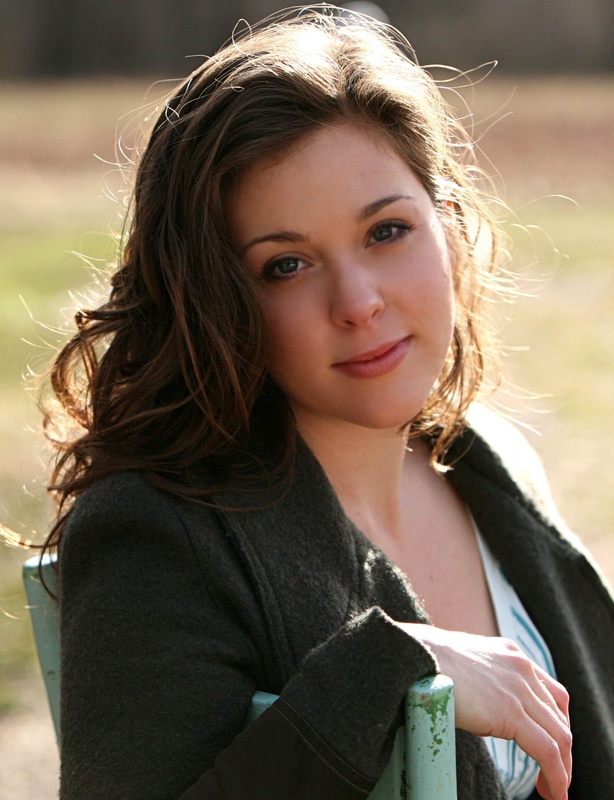 Our seventh GOLD Professional Profile is on Beth Doane – entrepreneur, designer, author and CMTA grad. Read more below and consider submitting your own GOLD Professional Profile. I started an art program at EMU called MECAA – which stands for Motivating and Educating Children About the Arts. The children joined EMU volunteers for after school programs focused around music, dance and creating art. It was so much fun and highly rewarding to see the children benefit from the time we had together. Many of them had art programs cut from their curricula and came from low income situations so this was the only opportunity they had to experience art as movement, painting or singing. I created a fashion line called Rain Tees, in 2008 by raising funds to donate school supplies to thousands of children living in our worlds most critically endangered tropical rainforests. The children were asked to illustrate what they see happening in their world every day and with a design team in the United States we then incorporated their artwork onto apparel. Every Rain Tee features the children’s designs, countries and names and a tree is planted to replace one that has been destroyed for every tee shirt sold. Rain Tees launched at Mercedes Benz Fashion Week and in its first year was sold internationally. It’s now a favorite of celebrities such as actress Rosario Dawson and supermodel Kate Dillon who is also a contributor to the brand. I speak nationally about my work in the Amazon and my time spent with the indigenous tribes there and in other areas of the world who have lost so much of their native land to illegal oil practices, agricultural use and deforestation. I also wrote a children’s book last year which is in the process of being sold for distribution worldwide about some of the kids I have worked with in these severely endangered areas. Tenacity. So many really successful people are simply the ones who made a choice not to give up when everything seemed impossible. I also learned that two things that can really make a huge difference in business are a great attorney and a great concept that tells a powerful story. Luckily I had both of those things. The price of materials is increasing globally and the materials we use are already quite expensive because they are eco conscious and designed for their sustainability. The global economy is changing dramatically and consumers are becoming more aware -which is great- but I think even more consumer education is needed about where the products we purchase are coming from, who is making them and how they are treated. I had some incredible professors who definitely influenced how I run my business today. Some of them had worked in Communications, Marketing and PR for major corporations and I learned so much from the personal experiences they shared. I also took an ethics seminar during my last year in undergrad that was by application only at the time and that was such an honor and powerful learning experience. We studied a wide range of ethics issues in business and some of those corporate case studies I still reference today. Our sixth GOLD Professional Profile is on Hannah Esper – Senior Editor & EMU Journalism graduate. Read more below and consider submitting your own GOLD Professional Profile. 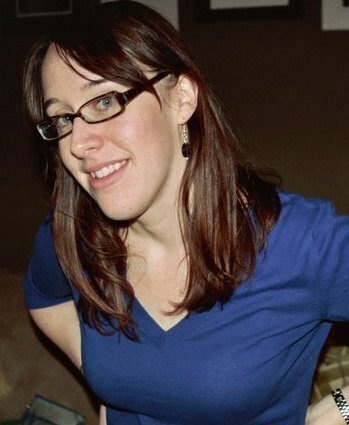 Your fun EMU fact: I held the position of Opinions Editor of the Eastern Echo in 2004-2005. After graduating from EMU with a BS in Journalism, I moved to Chicago. I currently work as a Senior Editor at Marketwire, which is a full-service newswire. We distribute press releases on behalf of thousands of clients — public and private companies, as well as non-profit organizations. This position has allowed me to learn a lot about the business world and to work with public relations professionals from some of the country’s biggest companies. In addition to my role of editing press releases for distribution, I also train and mentor the associate editors. My greatest achievement was being named MVP by my peers this past year. 1. You can’t rely on classes alone. Experience is key to nabbing a job post-graduation and everyone should take advantage of the professional development opportunities that are offered while in school. 2. It’s important to keep up with the present. Industries are evolving and we must be knowledgeable about the latest trends and technology in order to remain marketable. Social media was just beginning when I graduated but since then it has completely changed the way things are done. 3. Be flexible. It’s very easy to want to pigeon-hole yourself into one career role, but I’ve learned that in this economy it’s important to be open to positions I may not have considered before. I’m even finding that I enjoy tasks that I never thought I would, such as training new editors. I’ve struggled trying to maintain a work/life balance, and living in a city that requires a long commute contributes to that greatly. It’s easy to get wrapped up in your job and neglect the things that bring enjoyment. I’ve begun scheduling time for new hobbies such as running and taking guitar lessons. It would be helpful to learn some time management skills from those who have become successful at maintaining this balance — I know it has to be possible! This is the seventh and final entry from Africa to the Global GOLD series written by Jon Maravelias (BS10). 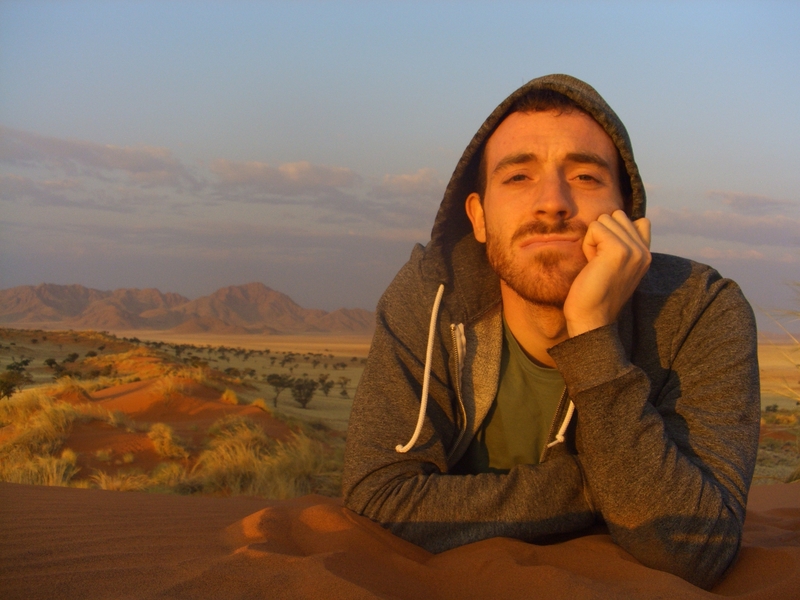 Jon is a Development Associate for a Non-Governmental Organization (NGO) called NaDeet based in Namibia, Africa. The story below is a graphic account of Jon’s experience. The viewpoints expressed are those of the author alone and not the Office for Alumni Relation s.
In my last year at Eastern Michigan University, I was writing my honors thesis in Anthropology, preparing for the Undergraduate Symposium, finishing four full semesters (including Springand Summer) to graduate on time, preparing for another presentation for the EMU Alumni to several of our donors and most importantly, wondering what I was possibly going to do after the crest of this wave breaks. It seems as though you are looking through drunk goggles in those final few weeks and let me give you a piece of advice to anyone who is stumbling through it now — you think you want to relax…but you won’t. Your body and mind may be exhausted, but they are stimulated and it’s not like once the stimulation is removed your body and mind will go back to a peaceful state. In my opinion, it is vital for you to find the most fulfilling outlet for that post-graduate angst and an overseas internship is your golden ticket. In my Honors Thesis for Anthropology, titled Study Abroad Dynamics, I explored the acquisition of cultural reflexivity in Americans during a study abroad tour of the Mediterranean. It has been recognized and debated by many anthropologists, sociologists and journalists about the nature of American culture – What is it? How do we define it? Does it even exist? Indeed, the fact that our culture is hyper-individualized makes it difficult for the American to accept any sort of group mentality, but more importantly, we are a giant vat of ethnic porridge (sounds like something I eat in Namibia for breakfast these days). The fact that we are so mixed makes it difficult to conceive of any unifying cultural norms or traditions. That is, until we travel outside of the country for a period of time. It is not until we have a completely unfamiliar culture to use as a juxtaposition to our own that we begin to see what exactly makes us American — and this, I argue, is completely tied to quality of life and personal fulfillment. In this Great Age of self-help books and pharmaceutical induced worker bee syndrome, are we not, in the end, looking for something to end the alienation? Could you honestly tell me what you, as a “Self,” are even capable of doing not only for fellow (wo)man, but for yourself? Up until now, you have performed a personal job (maybe not a good one) to create a persona acceptable to those in your culture. This persona becomes reinforced in your culture over time and the line between who you think you are and who you really might be becomes blurred — and this seems to me to be the second-to-last layer of problematic existential questions before we jump into the mucky cesspool of nihilism. And a possible solution? Culture shock. You must be put in a new cultural context that requires you to reexamine what you’ve learned to take for granted in order to shed the layers of ego you have acquired through reinforcement by those in your culture. Although uncomfortable and sometimes maddening, you will come out of the experience with a special awareness of what you are and how your culture has influenced your perception and actions.So I think it is important for the post-undergrad to explore their options for an overseas internship. When I began my search, I started with Peace Corps of course, but quickly turned my energy elsewhere due to the big dad-like oversight of the organization, as well as the length of stay for the volunteer. As I’ve met more Peace Corps volunteers and explored their sites throughout southern Africa, I speculate that Peace Corps is like the modern-day missionary movement into developing countries. Instead of religion, they bring you English. Instead of tobacco, they bring you condoms. Instead of God, they bring you Western capitalist dogmas…okay, okay let’s relax a bit. All of the Peace Corps volunteers I’ve met in southern Africa so far are amazing people who want to do good things — You just need to know that there are other options. On a more rational note, if you plan on continuing your studies, just remember that Peace Corps is a two-and-a-half year commitment. Thankfully, I found my internship at an environmental education NGO in Namibia through my professor at EMU, Dr. Cynthia Gabriel (Anthropology Department). She just so happened to have a sister-in-law running this EE center in the middle of the Namib Desert and was looking for volunteers. I can honestly say that it was one of the top three best decisions I’ve made in my life so far, not only because I’ve expanded my work experience to unimaginable heights in a developing African country, but because my quality of life has become so great. As I’ve learned to adapt to the several different tribal cultures in this neocolonial nation, I have also developed a sense of confidence particular to being a social creature. After all, learning to bridge vast cultural gaps in an unknown land in order to survive makes meeting that prestigious interviewer seem like tasty chocolate puddin’ staining an old shirt — not a big deal. 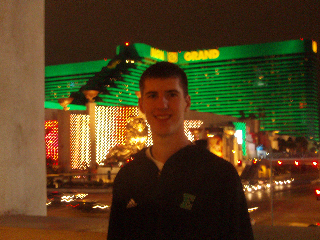 Our fifth GOLD Professional Profile is on Cameron Scharchburg Beyer – an up and coming hotel/casino professional and College of Business graduate. Read more below and consider submitting your own GOLD Professional Profile. Your fun EMU fact: I would normally walk 9-holes of golf at Eagle Crest after my last class of the week. I feel that course is one of the most beautiful treasures of Ypsilanti. a position with my “dream employer” first thing after graduation. My dreams involve someday managing a major resort on the strip in Las Vegas. 2. Making sure the job is done right the first time. Sometimes taking an extra 2 minutes can save 20 minutes of hassle. 3. Always look for new things to do on the job. Although not a big challenge, the biggest thing for me is my age and the fact that I don’t have the years of experience many of my co-workers have. Sometimes I feel I am not taken as seriously from guests or employees who don’t work with me on a day-to-day basis because I’m younger. Being able to ask EMU alums how they handled similar situations would be very constructive! The biggest influence was a Casino and Gaming class I took at EMU which opened my eyes to the hospitality industry. This class showed me that Finance does play a role in the industry and how I could use that to market my strengths to a potential employer. The class also had the opportunity to meet upper management from MGM Detroit and tour the facility during one of our classes. Without this opportunity, my chances of working at my dream company right away would have been greatly decreased. 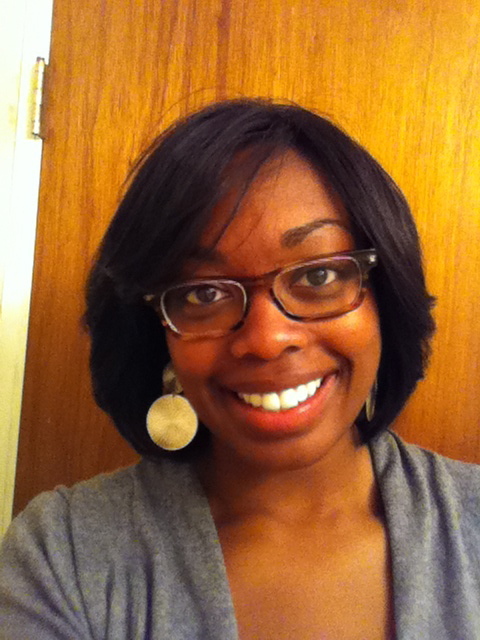 Our fourth GOLD Professional Profile is on Jasmine Lee – developing non-profit professional and communicator extraordinaire for the Black Alumni Chapter. Read more below and consider submitting your own GOLD Professional Profile. Your fun EMU fact: I am completely obsessed with the Summer Incentive Program! I believe that it has the power to change people’s lives by giving them a 2nd chance at a college education at EMU! I currently work as the Development Assistant and P.E.A.C.E. Project Coordinator for the Boys & Girls Club of Lansing. With a two-part assignment, I spend half of my time communicating with donors, planning annual events, writing grants and raising funds for The Club. The other half of my time is spent planning and facilitating after school programs with a focus on decreasing crime and supporting families as a part of a satellite of the Boys & Girls Club at Hunter Park in Lansing, MI. Something I am most proud of is having designed the new BGCL-Teen Room website and the corporate BGCL brochure that was distributed all over Lansing. With formal training in graphic design, web design or the like, it feels good to know that I had an opportunity to learn something new and become really good at it! 1) The relationships you build in college can take you to the next level after college! Networking is KEY! 2) Even though your “major/minor” may be what you’re most interested in or most passionate about, don’t forget to sharpen ALL of your skills! Be as well rounded as possible! You’ll never know when you have to edit an online video, step in for a major presentation or mingle with donors. The more that you are good at, makes it easier to transition from one project to the next. 3) As you transition into the professional world, it can be easy to feel as if you do not belong; positive affirmations come in handy! Not only affirm yourself, but find others who will affirm you as well. It can be difficult to transition into a world where many of the people you are working with have YEARS more experience than you. It’s important to believe in yourself, but it has been extremely helpful for me to utilize my mentors for moral support and find peers who may be struggling with the same transition so that we can support one another along the way. My BSW from EMU hasn’t influenced my career decisions per say, but it has influenced how I interact with people. The three years I spent at EMU kind of forced me out of my shy shell and into a position of influence and self-empowerment. Due to the things I participated in within the School of Social work at EMU and within the EMU campus at large, I have become far more outgoing, confident and sure of my strengths.